For a limited time, the worlds best low-cost long-haul airline, Norwegian is wet leasing Hi Fly's super double-decker Airbus A380 superjumbo for flights between London Gatwick and New York. The airline is using the A380 on flights DI7015 which departs Gatwick at 1705 landing in New York's JFK airport at 2005 local time. The return, flight DI7016 departs JFK at 2300 and comes back into Gatwick at 1100 the next morning. The A380 is replacing a 787 Dreamliner on the flight between now and 12 August. 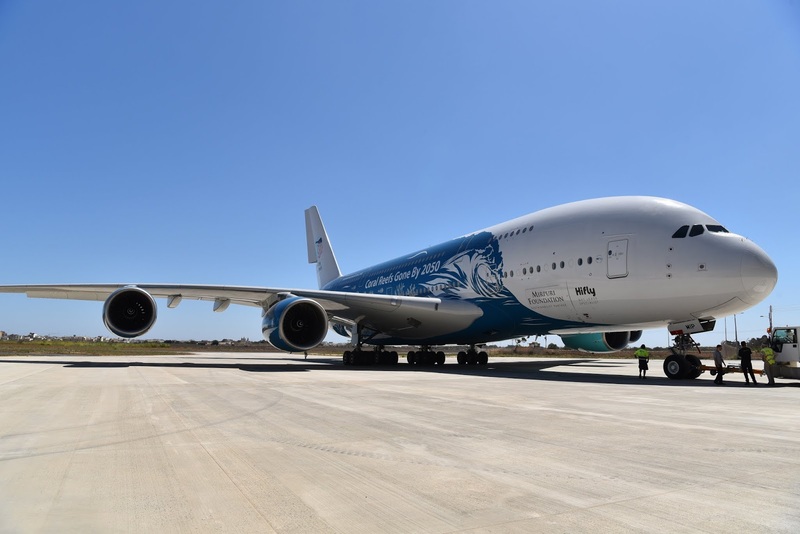 Whilst this is only a limited period, sources tell us that Norwegian has been in talks with Hi Fly to wet lease the worlds first second-hand A380 on a longer-term basis after the A380 completes its prebooked work for Air Austral. Passengers that had booked a premium ticket to New York, thinking they were going to be on a Dreamliner will, I'm sure be pleasantly surprised by the additional space, luxury and comfort of the replacement. Hi Fly has kept the same seating and configuration of the aircraft's previous operator - Singapore Airlines. We checked earlier today and there are still seats available on the A380 services, not surprising as it is a big capacity increase over the 787's, however, we were not able to pre-book our seats or see the seating plan for the flights selected, with the Norwegian booking system informing us 'Seat reservation is not possible for selected flight'. The fare, depending on which day you fly ranges from £645 to £845 one way, much cheaper tickets are available in the economy cabin, however with a business class ticket costing less than two grand return for a seat as luxurious as the ones on offer here, it has to be the bargain of the year. Although, we do wonder what Hi Fly and Norwegian will be doing with the First Class suites on the Airbus A380? 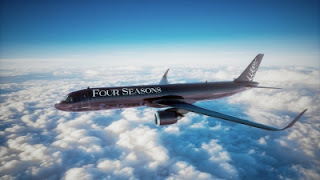 Will they be offering these as an 'upgrade' on the aircraft for a special fee? The first flight got off to a late start as the aircraft wasn't able to use the A380 equipped departure gate as that was being used by an Emirates aircraft, however, the delay was less than an hour. Yet congestion in at New York's JFK airport saw the delay increasing to 5 hours and 39 minutes.